in this Parish who departed this life the 4th day of March 1857. Aged 53 years. 31st January 1863 aged 63 years. 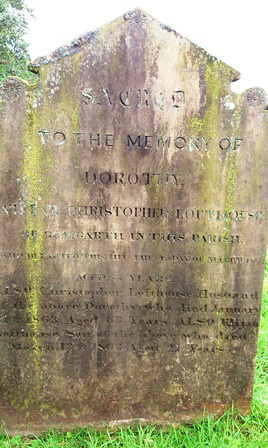 Also Elijah Lofthouse son of the above who died 13th March 1863. Aged 21 years.